Fireflies and Shooting Stars WINNERSSSS! As in ALL of you who left comments on my February 25th post featuring the sparktacular Fireflies and Shooting Stars “The Tale of Enzo”. After reading your comments, Ed Raarup offered to contribute to the giveaway. 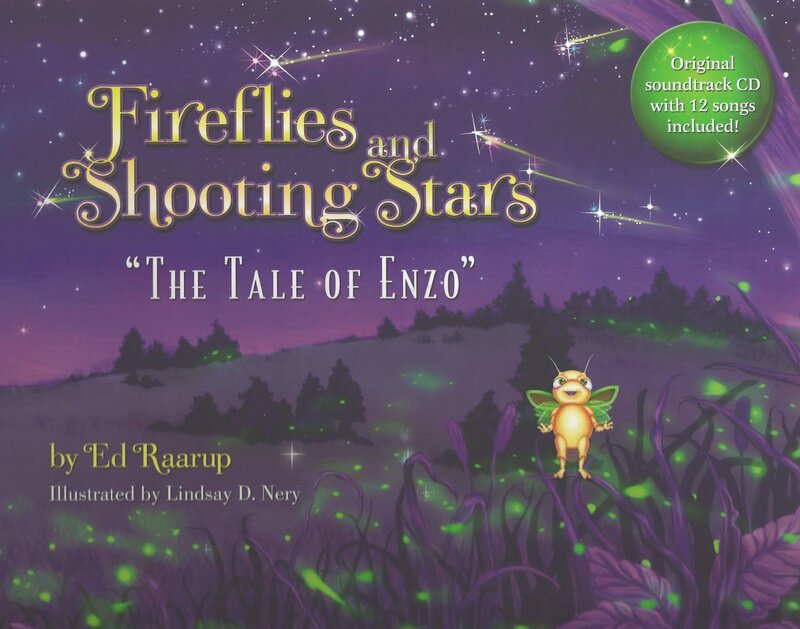 Which means you will ALL receive a copy of Fireflies and Shooting Stars “The Tale of Enzo” signed by the author! Congratulations Tami, Ellen, Sherry, and Barbara! I’ll be contacting you shortly for your snail mail addresses. And a BIG THANK YOU! to Ed for his amazing generosity! Tosses buckets of sparkly confetti! Yes, Ed’s generosity is amazing. As is his book. I know you all will LOVE it! WOOT WOOT, YEAH!!!! THANK YOU so much Ed and Elizabeth! Really truly I am something beyond wildly thrilled that Enzo is coming to my bookshelf. Wowie, but this happy jolly morning news just made my week!